Korean Drama and TV has gotten huge in recent years around the world but unfortunately, the UK lags behind. There are little to no official ways to watch Korean Drama or TV in the UK and if you’ve tried to access overseas websites then you’ll already know you’re blocked for being out of the country. In this guide I’m going to show you how you can watch both Korean Drama in the UK and Korean TV as a whole in the UK. Naver, Oksusu, Daum and Melon are four of the most popular Korean TV and music streaming websites but if you visit them in the UK you’re blocked. To unblock these and other Korean TV sites you’ll need to use a VPN. I’ve been using ExpressVPN because I find them to be the best but there are others and below I’ll show you the options and how to use a VPN to watch Korean Drama in the UK. If you want to watch Korean Drama or TV in the UK then you’ll need to get yourself a VPN service. I’ve been using ExpressVPN and they’re my recommended choice. There are others available which I’ll cover further down in this guide. 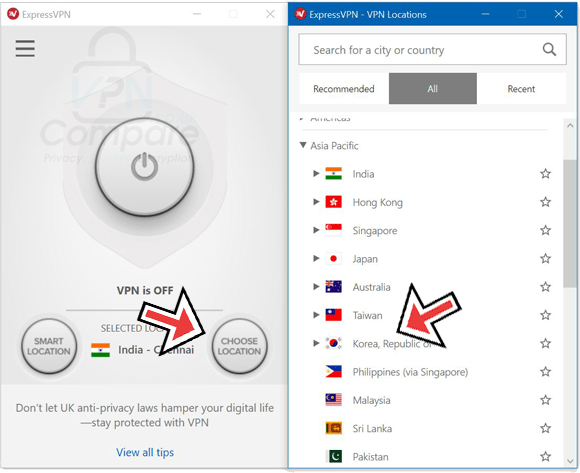 Follow the steps below which show you how to get ExpressVPN and also how to use it to watch Korean Drama and other Korean TV in the UK. Visit the ExpressVPN website and sign up for their service. It’s 49% cheaper if you take their 12-month package. Once you’ve signed up head over to the ‘Products’ section of their website and download their app for your device. Open the app and when required either login or activate it. 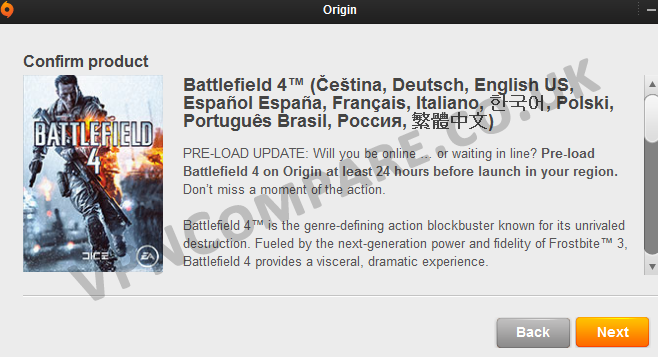 Then press All, Asia Pacific and then Korea, Republic of. Press Connect or wait for the app to connect automatically. Watch Korean Drama using ExpressVPN. Once you’re connected to ExpressVPN any websites you visit or apps you use will think that you’re in South Korea. All you need to do now is visit one of the many Korean Drama or TV websites. A few of the best to try are Naver, Oksusu, Daum and Melon. If you’re into K-Pop or Korean music as a whole then you can also access the South Korean online music services while connected to the VPN. If you want to shop around for other VPN services then read below. In my testing I found ExpressVPN to be the most reliable service for watching Korean Drama and TV in the UK. I didn’t have any issues connecting and accessing any of the major Korean online streaming services. There are however other VPN services out there that will also be suitable. As a savvy-shopper I’m sure you’ll want to look around at the available options and find the service that feels best for your own needs. 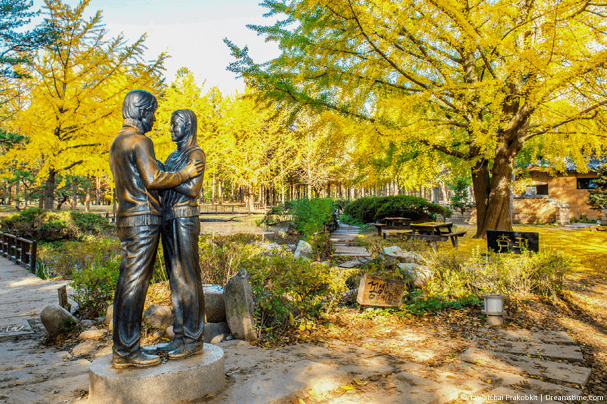 Not all VPN services support South Korean connections so it’s important to find one that does. My top 3 choices for watching Korean Drama and TV in the UK are as follows. All you need to do is select one and sign up for their service. It’s definitely worth checking out ExpressVPN my recommended choice because they’ve got a 30-day money back guarantee just in case you can’t get it working or it’s not for you. They’ve also got a special deal on their 12-month package where you get 3-months totally free. This makes the price 49% cheaper than paying monthly which is a huge saving and well worth taking advantage of. To watch Korean Drama and other Korean TV in the UK you’ll need to get yourself a VPN app. A VPN allows you to change your location so it looks like you’re in South Korea rather than in the UK. There are hundreds of companies out there but for this I recommend you use ExpressVPN. They’re a bit better than the competition and they’re really easy to use. Click the button below to sign up for ExpressVPN and then download their app for your device. They work with all types of devices from phones to tablets and computers to laptops. Connect to ‘Korea, Republic of’ on their app. Once connected you’re free to visit any of the South Korean streaming websites. I’ve listed a few earlier in this guide to get you started. Now you can enjoy watching Korean Drama and TV in the UK. What’s your favourite Korean show or channel? I would love to know so please let me know in the comments section below.